Most of China's tax revenue comes from the corporate sector. China's broad fiscal picture expands far beyond the official general government budget to the government funds budget (mainly land-related revenue and spending), two other budgets (the state capital operation budget and local social insurance budget), and quasi government spending. 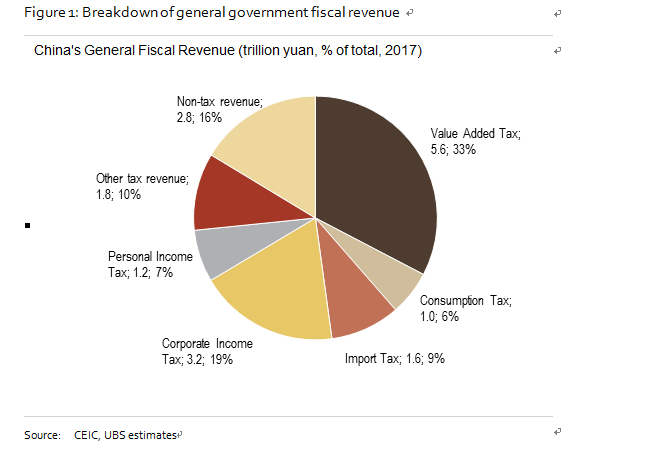 China’s general government budget revenue stood at more than 17.3 trillion yuan (or 21% of GDP) in 2017, 84% of which came from tax revenue. China's tax revenue is predominantly collected from the corporate sector. The two biggest sources of tax revenue are value added tax (VAT, 33%) and corporate income tax (CIT, 19%). In addition, 9% of tax revenue came from VAT and consumption tax for imported goods. Personal income tax (PIT) only accounts for 7% of total general fiscal revenue. Corporate taxes & fees. Value added tax (3 brackets at 6%, 10% and 16%) and corporate income tax (standard rate 25%, favourable rates from 0-20%) are the two biggest taxes collected at the corporate level (even though VAT will be passed through to end users). In addition, a firm (if compliant) also pays contribution of social insurance for employees (including contributions for public pensions, health insurance, unemployment insurance, and more), and some firms may also pay around 8% of payroll to the housing provident fund. The rates of these contributions vary across provinces but typically amount to 20-30% of payroll (if compliant). In addition, a compliant employee also pays about 10% of payroll towards social insurance. China announced tax and fee cuts of 1.3 trillion yuan in 2018 according to the Ministry of Finance (MOF), while we estimate that actual cuts may reach 900 billion for the year (1% of GDP). Because some of the cuts started in May or later, the actual tax saving was less than planned or announced. We estimate that in 2018 actual total fee cuts may have exceeded 300 billion yuan, corporate VAT and CIT tax cuts over 500 billion yuan, and personal income tax cuts around 100 billion yuan. Additional tax savings in 2019 from measures that have been announced in 2018 will likely be an additional 500 billion or more, mainly in VAT and PIC. - Expanding coverage of favourable income tax treatment for SMEs and amortization of R&D expenses before taxation for tech companies. Personal income tax cuts in 2018 exceeded 400 billion yuan on an annualized basis, but the actual cut was 100 billion due to late implementation. The first part of the PIT cut comes from an increase to the taxable income threshold from 3500 to 5000 yuan per month (effective Oct. 1, 2018), leading to an annual tax reduction of 320 billion yuan (which would otherwise have been 100 billion yuan in 2018 and 220 billion in 2019). The second part is tax deductions for basic household spending in education, health care, elder-care, mortgage interest, and so on, effective Jan. 1 2019, leading to an estimated annual cut of 100 billion yuan, materializing in 2019. China raised the export tax rebate in Septemper and November 2018. Meanwhile, import tariff rates were lowered from 9.8% in 2017 to 7.5% at the end of 2018 on a simple average basis. In addition, China’s State Council announced it would further lower import tariffs from Jan. 1, 2019, bringing down the average rate. Both measures could lead to corporate benefits of almost 200 billion yuan per year (compared with 35 billion yuan in 2018). As a result, growth of China’s tax revenue from VAT, CIT and PIT slowed notably in recent months. After VAT was cut in May 2018, VAT revenue growth slid from 18% year-on-year in Jan-Apr to 4% in May-Nov. Corporate income tax revenue dipped from 13% in the first 9 months to -10% in Oct-Nov. Of course, moderation of VAT and CIT revenue growth has also been dragged by slowing nominal GDP and PPI growth. Moreover, personal income tax revenue cooled sharply from a very strong pace of 21% in the first 9 months to -5% in Oct-Nov thanks to tax cuts since Oct.
We expect more proactive fiscal policies in 2019 with a higher budget deficit, more tax cuts, larger special local government bond issuance, and some relaxing of LGFV financing, in light of increasing downward growth pressure. We see headline fiscal deficit rising to around 3% of GDP in 2019 from 2.6% in 2018 (on accrual basis), but the broad fiscal deficit (Augmented Fiscal Deficit, AFD) will likely expand by 1.8% of GDP while the government remains reluctant to lift the official deficit above 3%. We expect the government to announce additional tax cuts over 1 trillion yuan in 2019 (though actual tax savings may be 700-800 billion yuan if implementation is delayed to April), in addition, 500 billion yuan worth will carry over from tax cuts in 2018. Where will additional tax cuts come from in 2019? The introduction of PIT deductions (for education, health care, elder-care, mortgage interest, and so on.) from Jan. 1, 2019 could lead to a 100 billion yuan reduction in PIT. This will be in addition to the 220 billion yuan carry over from PIT cuts to the increase of the taxable income threshold. The overall more than 300 billion in PIT cuts should benefit lower-middle income people while some high-income taxpayers may end up paying more as more non-salary income is included into the tax base this year. The market is also expecting substantial tax cuts in VAT. We expect the further simplification of the VAT structure from 3 brackets (16%, 10%, and 6%) to 2 brackets, possibly with the merger of the latter two. Meanwhile, the 16% bracket may be lowered by 1-2 percentage points as well. If both changes materialize, it could lead to tax cuts of 600 billion yuan (if 16% is lowered to 15%) or 1 trillion yuan (if 16% is lowered to 14%) per year, though actual tax savings in 2019 will be less if the cuts are delayed until after the March NPC. Meanwhile, if the standard CIT rate is lowered by 1-2 percentage points from 25%, it could lead to an annual CIT cut of 150-300 billion yuan per year, but we think that’s unlikely. It’s more likely the government will further extend the preferential treatment for SMEs. In fact, starting in January 2019, qualified SME CIT has already been lowered to 5% (for those with a taxable income of less than 1 million yuan) or 10% (for a taxable income between 1-3 million yuan), covering 95% of corporate tax payers by establishment. In addition, the government also plans to waive VAT for more small enterprises and/or allow for more tax deductions for start-up companies in various sectors. 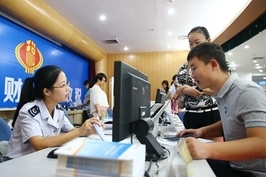 These measures could save corporate tax costs by 200 billion yuan per year. Corporate social insurance contribution rates may be lowered. As the government tightens collection of corporate social insurance contributions, it is also calling for lowering contribution rates to ensure no increase in the total corporate burden. Although the share of fully compliant enterprises is reportedly low at 27%, we don’t think the corporate contribution rates will decline sharply due to concern for social insurance sustainability. That said, there may be some flexibility in collection at local levels. We estimate a 2 percentage point reduction in corporate contribution rates may lead to annual corporate savings of more than 300 billion yuan, which could partly help offset the upcoming shock from tighter fee collection. Can China deliver additional tax cuts of more than 1% of GDP while keeping headline deficit below 3%? Yes. First, the increase of headline fiscal deficit by around 0.4% could provide some room for tax and fee cuts (around 500 billion yuan). Second, the MOF just called for a 5% reduction in “general government spending” (e.g. public officials’ spending on vehicles, travel and catering, government building construction, slower staff recruitment, and so on), which could save another 100-200 billion. Third, some general fiscal spending categories in infrastructure may be moved to government fund budgets to release some room for tax and fee cuts (up to 200 billion yuan). 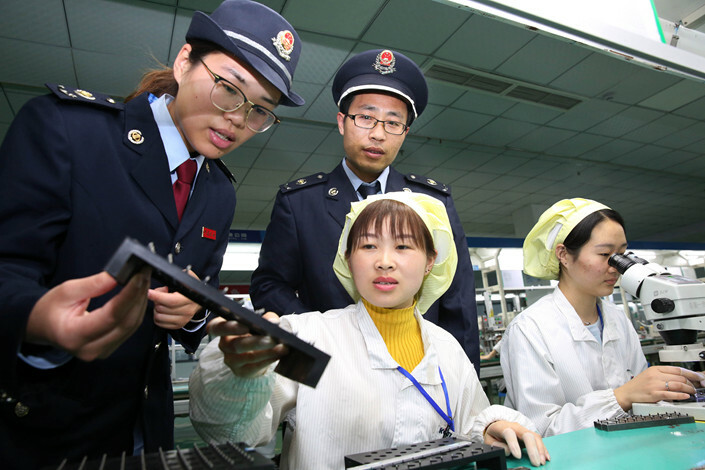 Lastly, local governments could continue to utilize their unspent proceeds from previous years and budget stabilization funds, which contributed 590 billion yuan and 850 billion yuan in 2016 and 2017, respectively. Augmented Fiscal Deficit (AFD) matters more than the headline official general budget deficit. China’s policy stimulus has always been a combination of fiscal, and monetary and credit policies, as the bulk of fiscal support and infrastructure investment is through quasi-fiscal spending financed by various credit channels. Our estimate of Augmented Fiscal Deficit (AFD) captures a more comprehensive picture of overall fiscal support (including budget deficit, net land sales revenue, and quasi-fiscal financing), which declined by almost 2 percentage points in 2018 mainly due to tight restrictions on implicit local debt and LGFV financing. We see an increase of AFD by about 1.8% of GDP after it fell by almost 2% of GDP in 2018, although headline general budget deficit is likely to rise by more than 0.4% of GDP from 2.6% previously. The 1.8% of GDP AFD expansion will consist of 1.3-1.6% of GDP in tax cuts (depending on when new cuts are implemented in 2019), a roughly 1.3% of GDP increase in fiscal and quasi-fiscal infrastructure spending, and a 1% of GDP reduction in other government spending (including general government spending on administrative items). The bulk of the positive growth impact from fiscal stimulus will likely come from infrastructure. We expect infrastructure investment to grow by at least 10% in 2019, up from about 2% in 2018. Although the size of tax cuts may exceed the increase in fiscal & quasi-fiscal spending on infrastructure in 2019, the latter will still have bigger short-term support for GDP growth, in our view, given the lower multiplier effect. Fiscal stimulus will be largely financed by credit, and the size is data and trade war dependent. While a large part of the tax cut may be financed by squeezing other general budgetary spending, the overall fiscal stimulus, especially the infrastructure portion, will be largely financed by credit expansion. 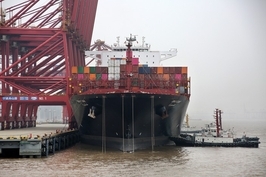 This includes the likely large increase in local government special bonds (from 1.35 trillion yuan in 2018 to 2 trillion yuan in 2019) and more LGFV financing, helped by the People’s Bank of China’s monetary easing, improved bond market liquidity, and some relaxation of shadow credit channels. Wang Tao is the head of Asia economics and chief China economist of UBS Investment Bank.